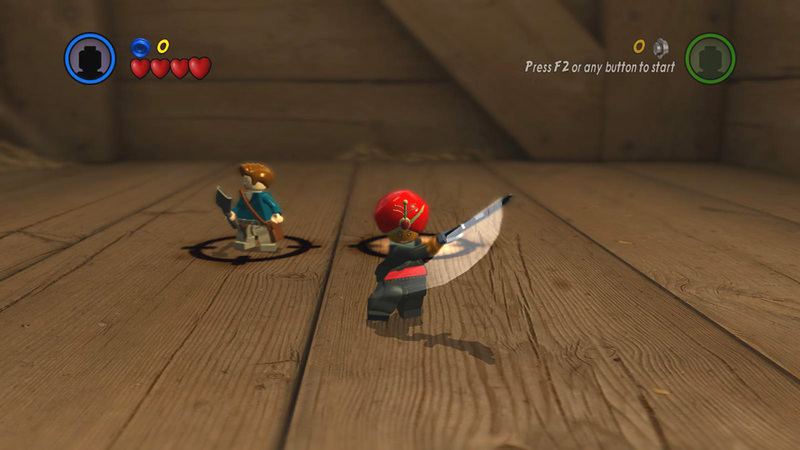 In the Character Creator you can design your own custom LEGO Minifigures to use in Build Your Own Adventure or Quick Play mode. The on-screen instructions explain what to do, but in case you need them, the screenshots below show how to get started. For details on unlocking the "What are you looking at Daddy-o?" Xbox 360 Achievement or PS3 Trophy, see the Achievements and Trophies pages. 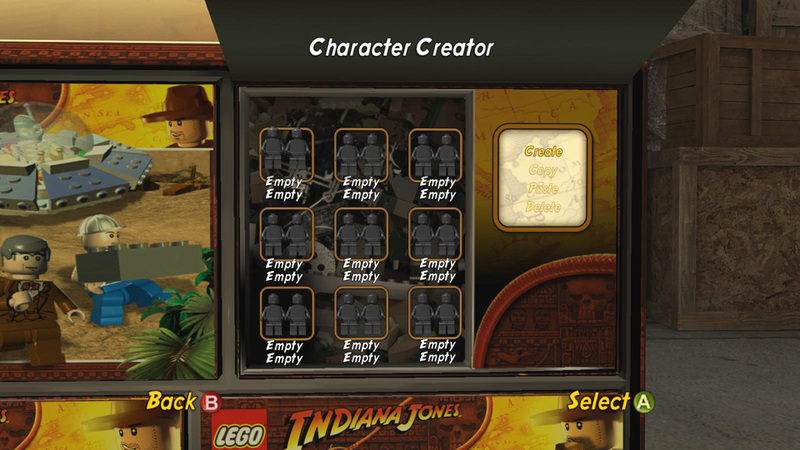 Using the Character Creator does not count toward 100% completion in the Creator. 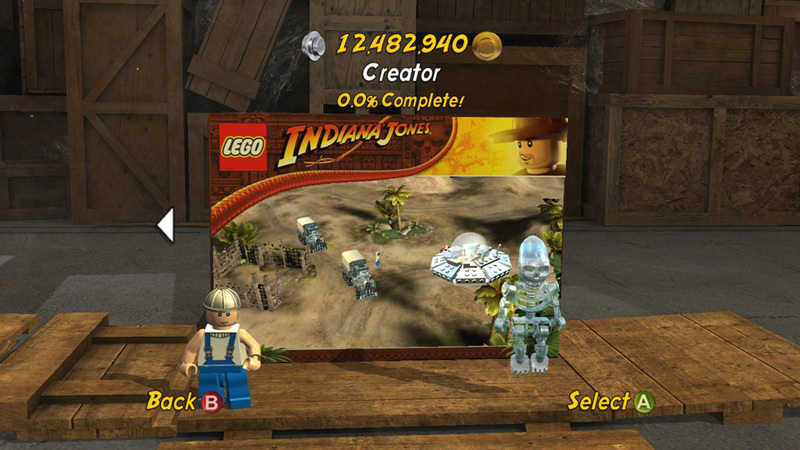 Everything you need to do for 100% is included in the Level Builder. Open the Creator playset on the far right side of the main menu. 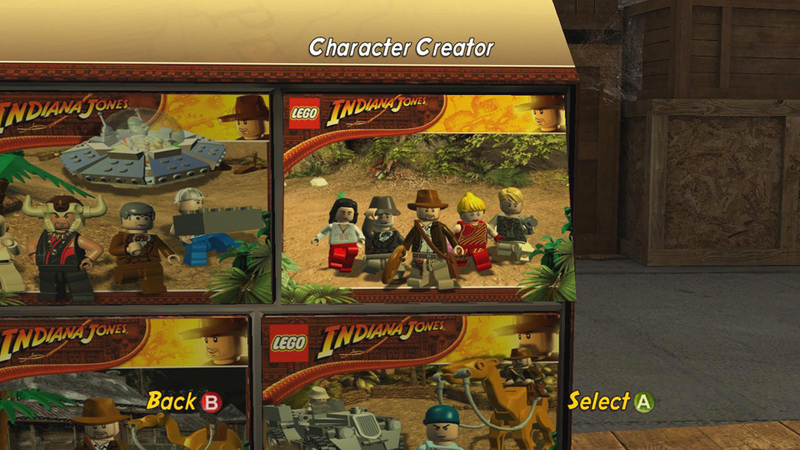 Then choose the Character Creator at the top right. Select an empty slot and choose 'Create'. 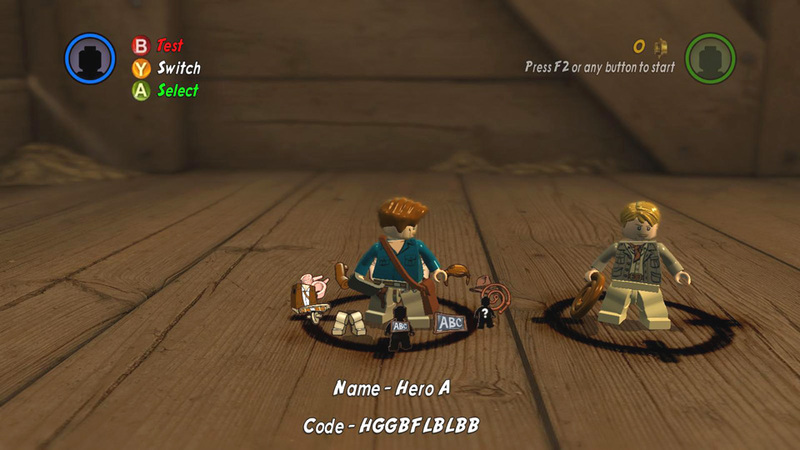 Later you can edit the minifigs you've made from here. You can edit 2 custom characters at a time. Press Free Tag to switch between them. or edit each feature individually. Silhouette with Question Mark – Create a random character by mixing up all the other attributes. Whip – Equipment. Cycle through these to choose the weapon, tool or object the character will carry. Hat – Headgear. Certain hats, like the Thuggee Turban give characters special abilities. Wig – Change your character's hair. Note that choosing new hair replaces any hat you may have chosen before. 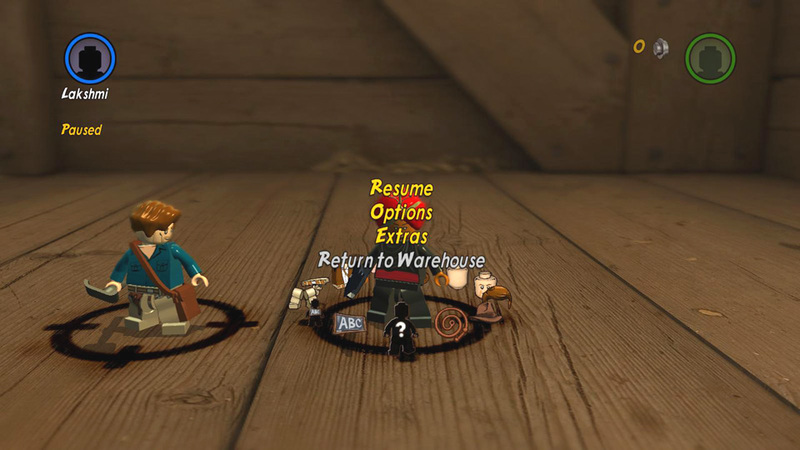 Characters can't have both hair and a hat. Face – Change your character's facial features. 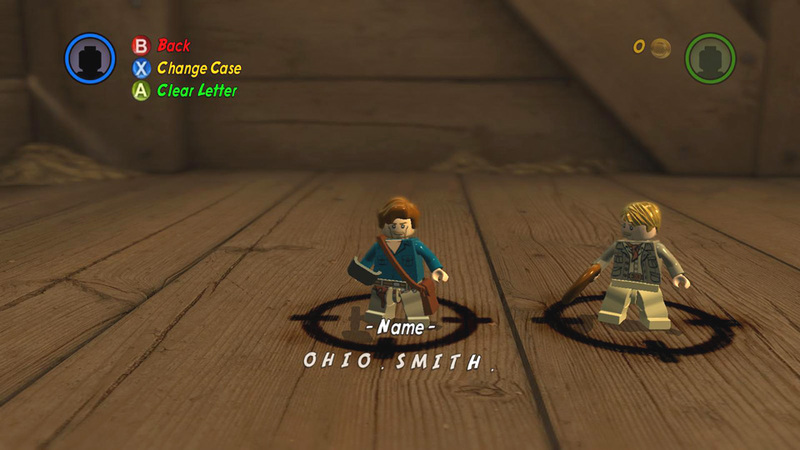 Head– Change your character's skin color. Arms, Hands, Torso, Pelvis and Legs – Fairly self-explanatory. You can cycle through each of these parts until you find a combination you like. 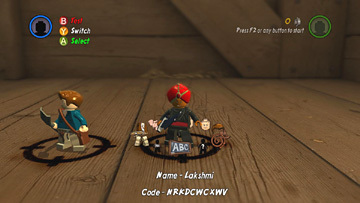 Silhouette with 'ABC' – To name your character select this option. Then use direction keys/stick to cycle through the letters to spell the name. Use the buttons shown at the top left to switch between upper- and lower-case letters or erase a mistake. Chalkboard with 'ABC' – Code. Notice how the Code at the bottom of the screen changes as you build your character. 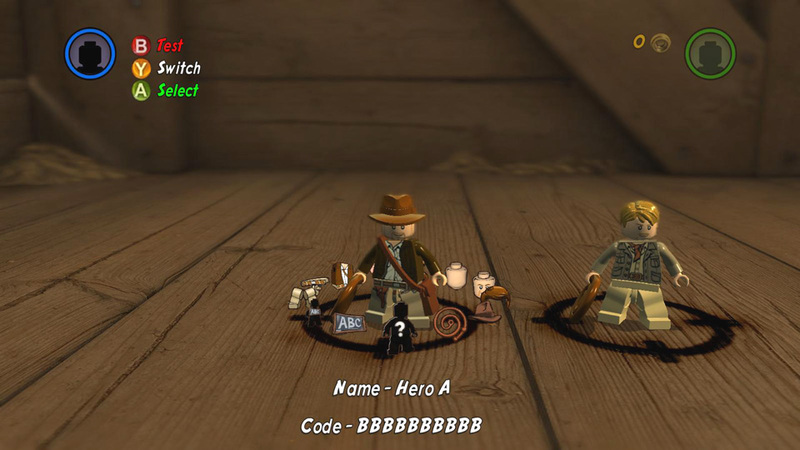 Each of the 10 letters in this code represents one of the editable features. 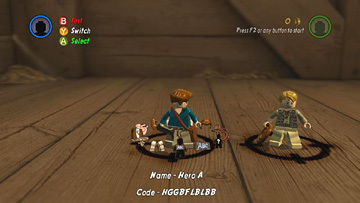 If you create a character you like and want to share it with a friend or transfer it between games, just copy down this code and enter it in the Code section of the Character Creator in the new game. 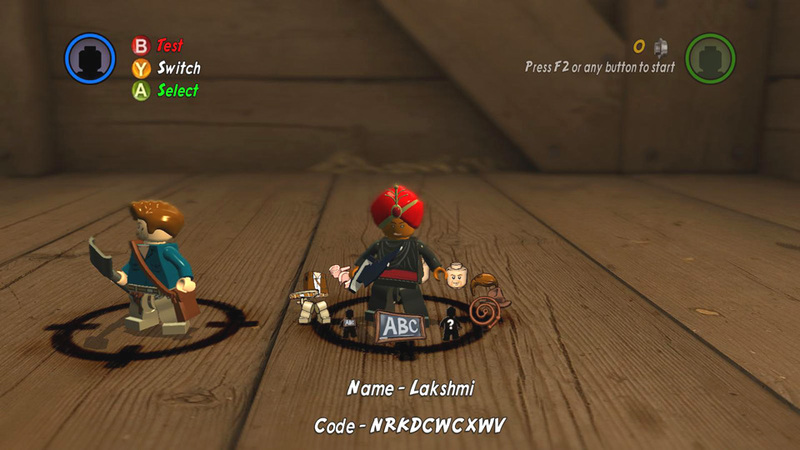 For example, if you like my female Thuggee character, use the code NRKDCWCXWV to add her to your game. 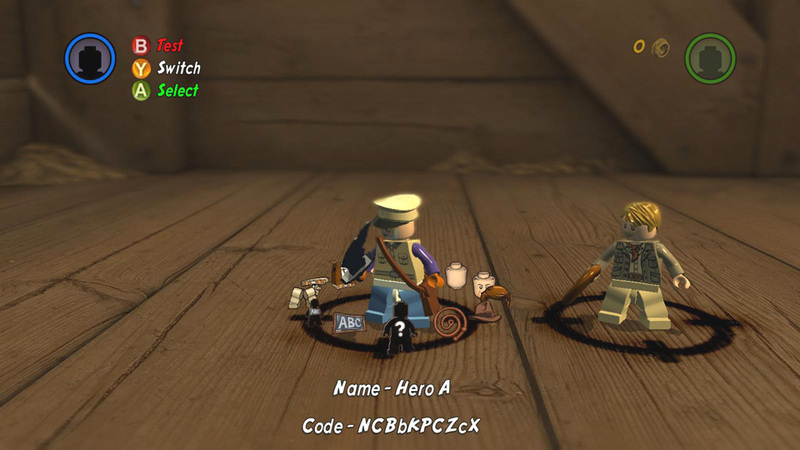 Select the silhouette with the 'ABC' sign to name your character. Then use direction keys/stick to cycle through the letters to spell the name. Press Use to step out of the circle and test the character. Return to the circle to continue editing. Use the code at the bottom of the screen to share or re-create your character in another game. Walkthrough text and original images copyright © Stellalune (). All rights reserved. Please see the home page for detailed copyright information. BrickRaiders.net is an unofficial fan site which is not affiliated with or endorsed by the LEGO Group, LucasArts or Travellers Tales, the creators of the LEGO® Indiana Jones games. No part of this website may be reproduced without permission.